With just 30 rooms, the hotel has been fully renovated to create a fresh, contemporary atmosphere, with clean, elegant lines and bold colours sitting happily alongside studded floors, mouldings and alcoves reflecting the true spirit of Paris. The interior design gives pride of place to beautiful, natural materials, creating an elegant atmosphere that extends into the bedrooms. The bathrooms are the epitome of comfort. 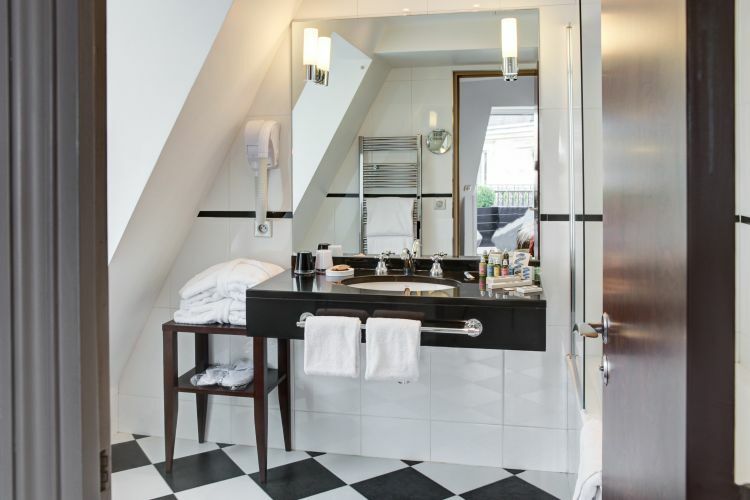 Bright and spacious, they reflect the same desire for quality, right down to the choice of complimentary toiletries. 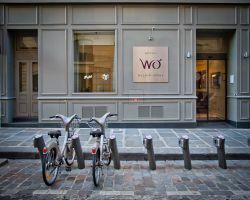 Just a stone's throw from the Gare Saint Lazare, the WO is popular with both business and leisure guests. Second time staying at Wilson Opera. Any fears it may not have maintained the previous standard quickly dissolved. 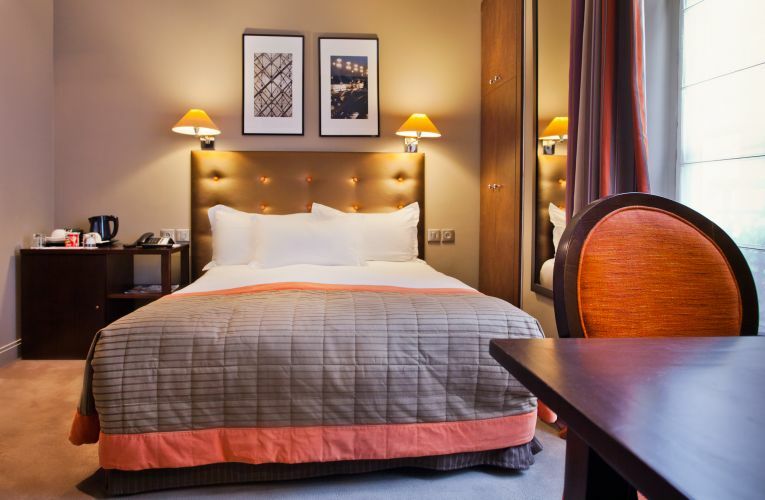 The hotel is perfectly situated and all the staff are wonderfully helpful and friendly. We really love this place! 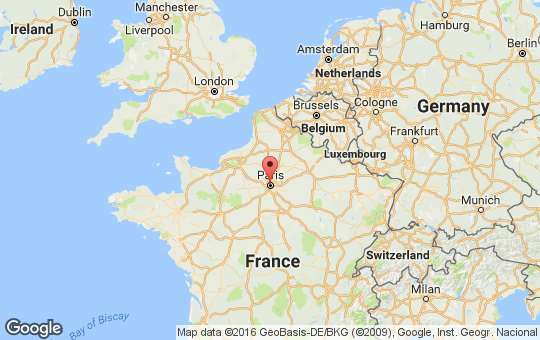 Thank you to everyone for another lovely stay in Paris. Great hotel. Staff were lovely, welcoming and excellent help when regarding what to do and where to go in Paris. 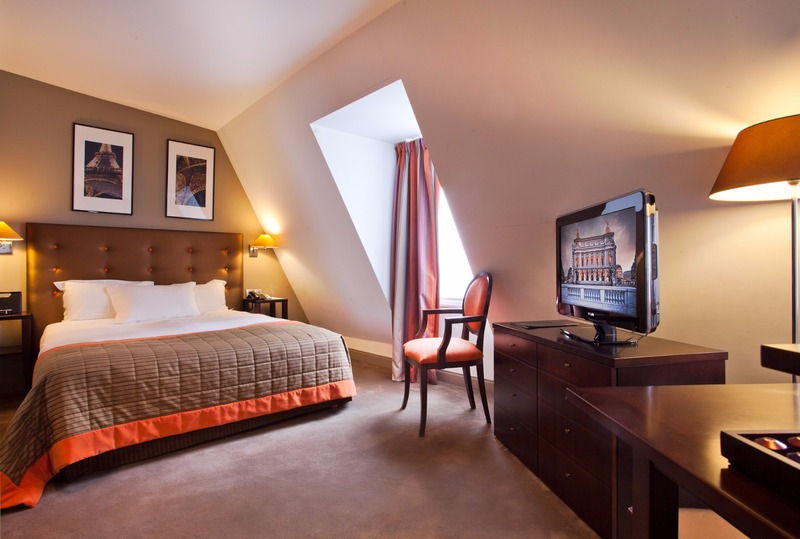 We chose the hotel Wilson Opera for the price and convenience of location. 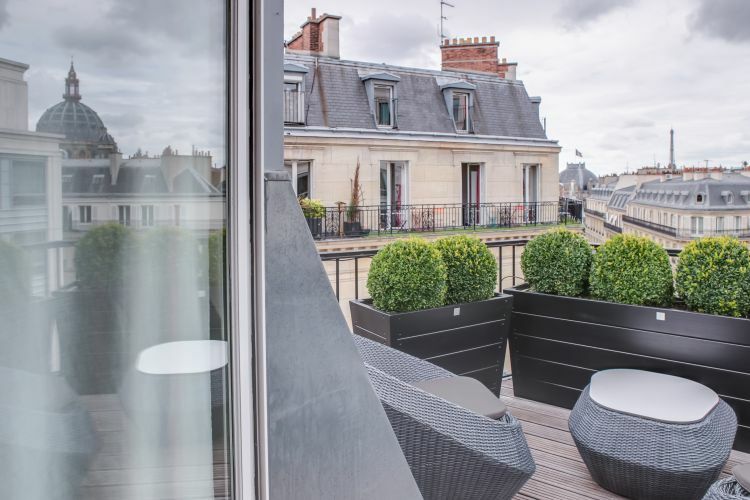 It might feel a bit "out" for places like the Marias or the Left Bank, you are very close to three Metros each of which is a couple of stops from where you want to be without the noisy nights or high prices of staying in those areas. We were charmed by the staff, each was efficient, helpful and resourceful. Americans will appreciate the splendid water pressure and how clean everything is. 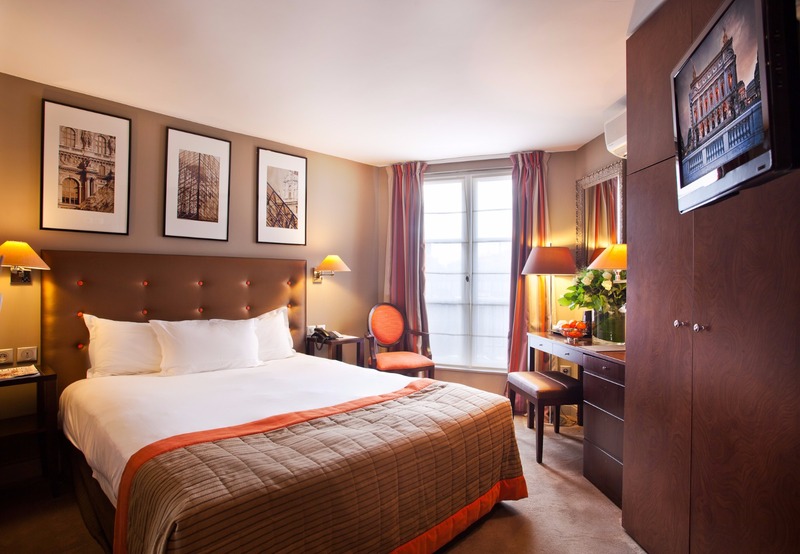 Being able to change our room on the first day made a great difference to our satisfaction. The Customer Service of all of the staff was outstanding!!! I’d like to specifically acknowledge Romain, for going above and beyond. Any questions or requests I had were addressed immediately!! He took care of arranging my rides to and from the hotel to the airport and even upgraded my room!! Also, the in-room breakfast option is worth it!! Cheers and many thanks again to all of the staff at Hotel WO!! 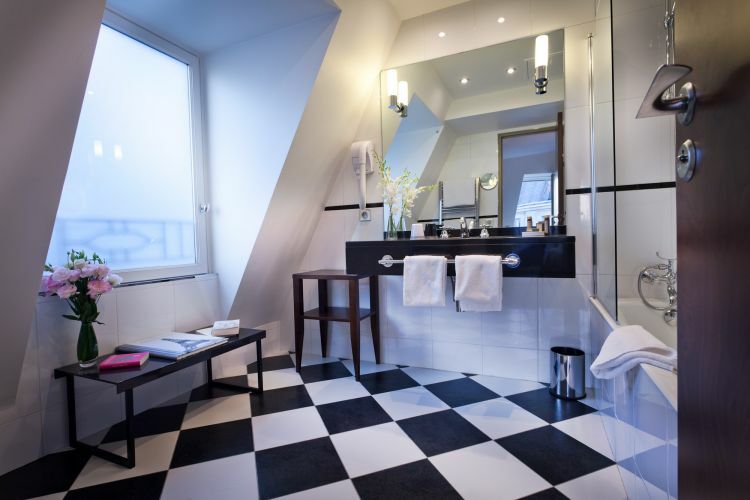 The service, interior, cleanliness and location of this hotel is just great for a Paris trip. This hotel was by far the best in terms of location. It is literally 2 mins from the Saint Lazarrre train station., which is the main train station for all the lines so getting around was pretty easy. The room is a little on the small side it works for a couple and just for sleeping. Goede bediening. Het buffet is uitgebreid genoeg. Enige negatief puntje harde matrassen. Voor de rest super. 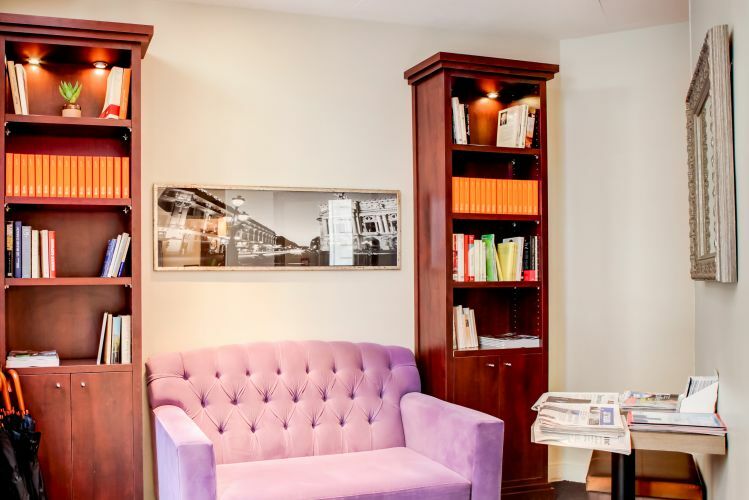 The Wilson Opera is a boutique hotel, the rooms are functional and have all that you need. The beds are comfortable. The lighting in the room was a little dark, but I did notice on the second day that one of the lights had been fixed (still was a little dark in the room). The bathroom was cold even with the towel rail on. There is no bar at the hotel to meet with colleagues in the evening. Breakfast was good, not a massive selection but adequate. The staff are polite. 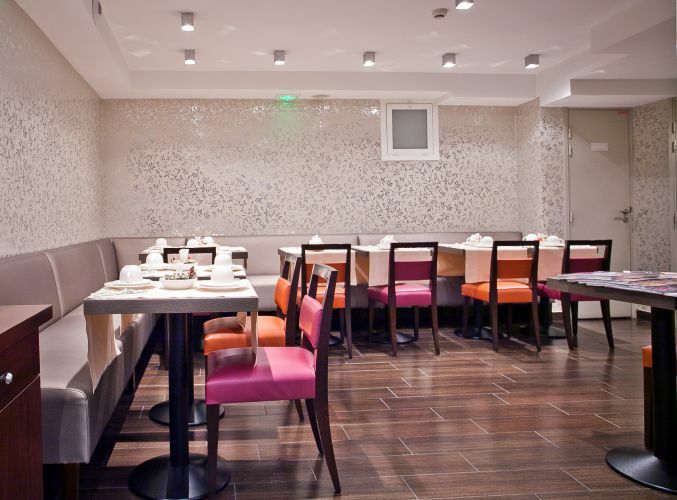 Location is good close to many restaurants, train stations and the conference venue we were attending. 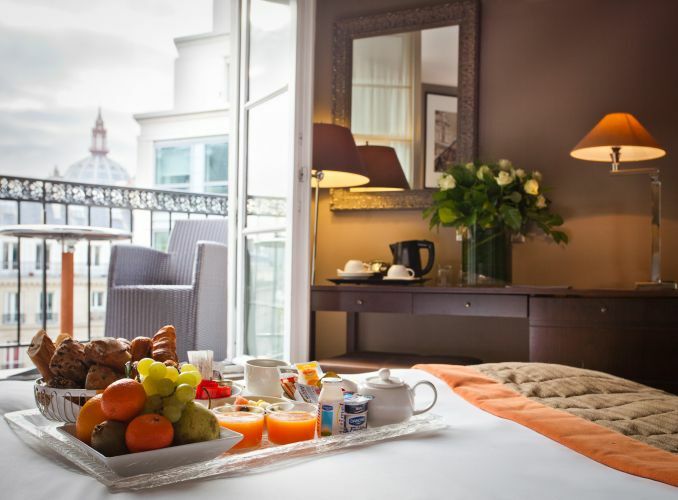 Very friendly staff, great location, very good breakfast, comfortable bed. Tutto bene. Servizio, colazione e posizione. Ma non ci tornerei. Perché la camera era decisamente troppo piccola, soprattutto il letto per 2 persone. 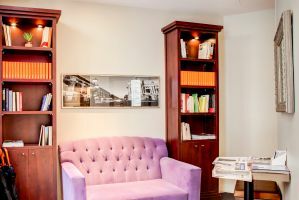 Hotel carino, pulito e in una zona strategica. Personale gentile e disponibile. Struttura assolutamente consigliata. Very polite and attentive to help guests！Very nice! The staff was kind and helpful and I appreciated their assistance. I was surprised that coffee was not free in the morning and was downstairs at the main entrance. 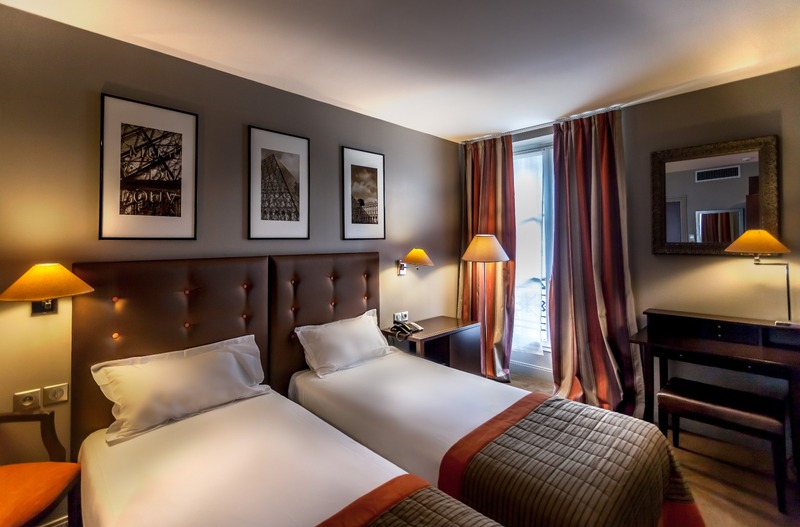 good service and the hotel stuff are quite friendly and helpful.good location with supermarket around and safe environment.The room is clean. Hotel Wilson Opera is perhaps the most welcoming hotel I have ever been to! As soon as I arrived, Romain happily gave me lots of information about my stay, information on getting around, and where to eat, etc. In the morning, the other gentlemen concierges always greeted me in a friendly way, and helped me with information, as well. They, particularly Romain, made me feel as if I were important and they were happy I was there. The room, though small, was very comfortable and clean. I would definitely consider staying there again. My husband and I enjoyed our stay at WO-Wilson Opera. The location was good and perfect for our center of tourism. The staff was excellent and recommended wonderful restaurants. They were very helpful in sharing with us how to use the Metro each day. We have a wonderful stay at the WO. The room was very tiny but clean and efficient. We were out most of the day anyway. Your front desk person, Romain, was welcoming, friendly, very helpful. It helped us that his English was perfect. The breakfast area and the breakfast itself was perfect and had everything that we needed including being able to make a latte on your Nespresso machine as well as cooking our own egg. We have only great memories of our stay there! Geen groot hotel maar netjes en van alle gemakken voorzien. Airco op de kamer werkte goed en het balkon op de 6e etage was ruim genoeg om met twee personen heerlijk te kunnen zitten. Great location....close to Metro Terminal and not far from Paris Center. Rooms were a bit small, but I think par for the course in Europe. Great customer service at front desk!! 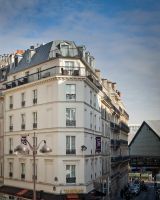 Location convenient, service 24 hours, desk staff very friendly, WiFi strong, small rooms but average size for Paris. Room has a few USB making it easy for international travelers without enough adaptors to plug in. Location was near plenty of metro stations making it easy to get around. Room did not have an iron and seems to only have one so in our 4 days we never had the chance to use it. This was odd to me however this was our first French hotel room. We had however stayed in Switzerland and Italy early that trip and had an iron in room. The staff was very nice and helpful. Our room was exactly what we wished for, clean, close to the metro, and quiet. Very good service, especially the reception. Good cleaning and central hotel. As a note to improvement, to indicate something, the room somewhat small (xq my husband is tall) but for how little we were in it ... enough! Good breakfast buffet with cold meats, tasting of cheese and pastries, fruit, coffee, .... And to raise the note even more, it would be great to add something for my taste to complete the 'petit déjeuner': ommelette, griddle eggs or scrambled eggs. Fantastic, my husband and I have been very comfortable in this hotel and when we return to Paris we will surely stay in it. Highly recommended! 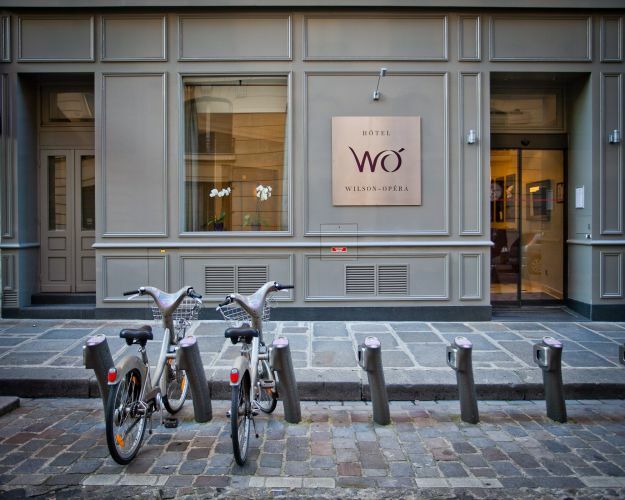 Overall, Hotel WO provides excellent customer service. All the staff are very friendly and attentive. Room quality is over all nice. We arrived Friday afternoon and was greeted with a friendly welcome by everyone. 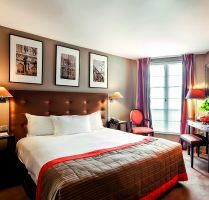 It was our first stay in Paris and wasn’t sure what to expect from the city or hotel. Thankfully the hotel was absolutely perfect, rooms were lovely and clean and well equipped, location was fabulous - we were given a detailed map and lots of helpful instructions to explore Paris on arrival and throughout our stay. We found it very easy to find are way around this beautiful city. The delicious breakfast set us up perfectly for the day ahead. When I return to this beautiful city I will also return to this beautiful hotel. L'accueil est soigné et le service impeccable. Petit-dejeuner excellent. Location, cleanliness and staff were all great! Had a very pleasant Stay here with 2 kids (we got the family room which has 2 adjoining rooms and separate baths). 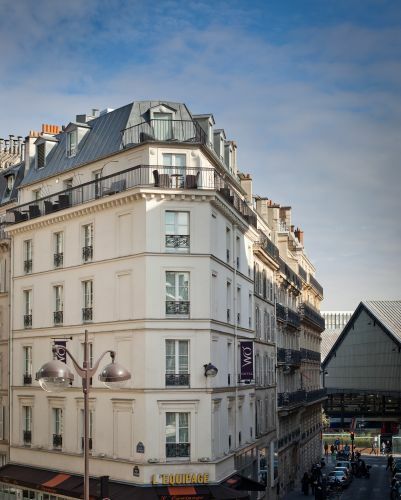 Hotel is very close (200 yds) to the the St Lazare Metro/train station which makes for easy commute to everywhere. Uber charges from attractions were so reasonable that we stopped using the metro! Staff was very friendly and knowledgeable about tickets, restaurants, etc. I recommend the breakfast buffet - reasonable for the price (we prepaid). The 2 adjoining rooms with separate baths really made it easy to get ready in the mornings and the price was reasonable (not twice of single room as most hotels would give you). Overall, we had a great experience and would not hesitate to return. 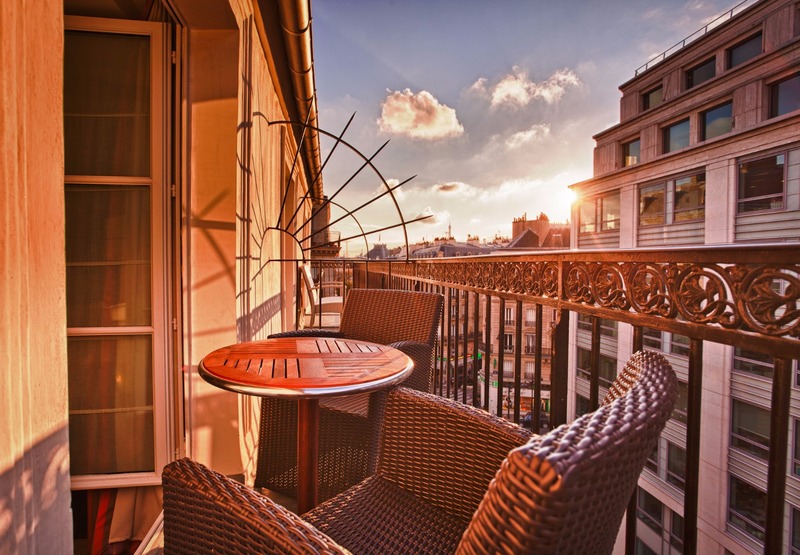 Great location, lovely room with balcony, very Parisian. Staff, both able to speak English, more than helpful. Good place if you want to be out of the hustle and bustle, but close enough to have local supermarket. People in shops very friendly and helpful. And then there sure great shops and shopping centres acoule of blocks away. 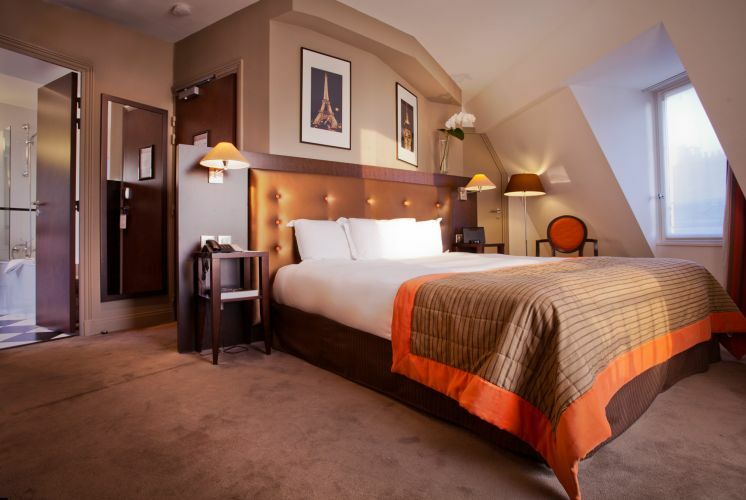 Will certainly book again if I’m in Paris again. 5 stars. Amazingly nice hotel near Gare San Lazare provides exceptional comfort and convenience for visitors. 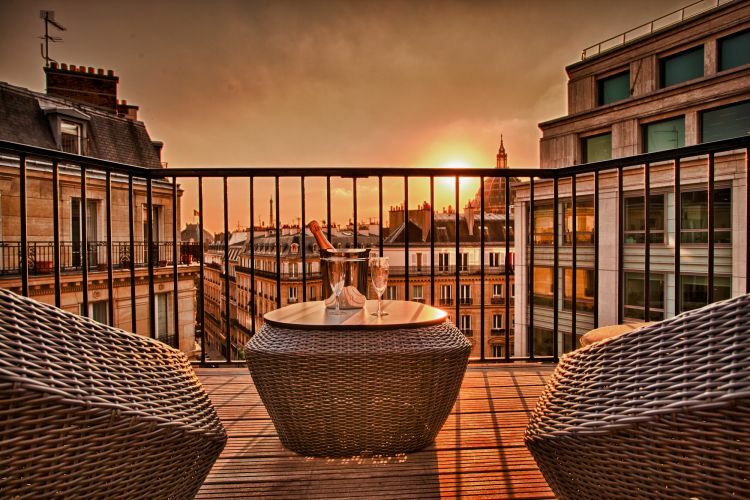 Fantastic hotel, would stay here again on my next trip to Paris. Friendly staff, easily accessible by Metro. The room was cozy. The service was great, easy to reach! Net hotel, goede ligging en heel vriendelijk personeel! Geweldig hotel! 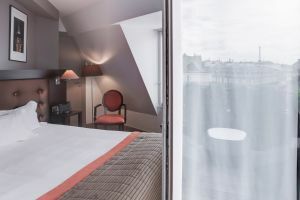 Supervriendelijk personeel, zeer nette kamers, op 2 minuten loopafstand van het meest centrale station in Parijs, in een zeer nette buurt en supermarkten om de hoek. 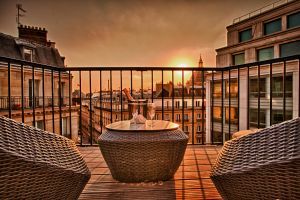 Kortom het beste hotel wat je kan vinden in hartje Parijs! Een aanrader voor iedereen! Comfortable and pleasant stay. Friendly and helpful staff. 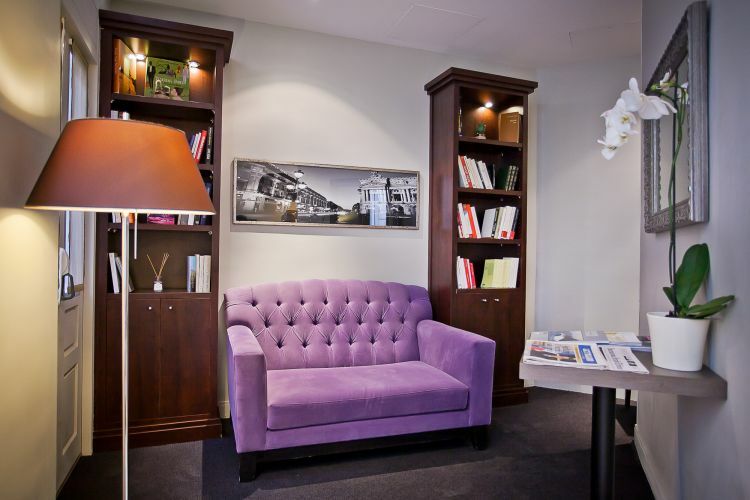 Don’t be deterred by the small lobby, this hotel has a great staff and location. They will help make your stay a great experience. 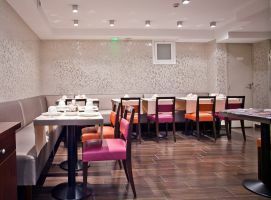 Well situated, modern and great service. 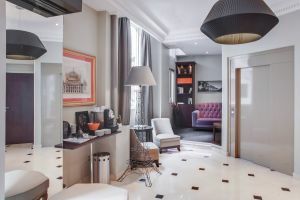 Aside from the bed being a little hard, the hotel was in an excellent location (close to the st lazare train station), and the staff was very friendly and attentive.